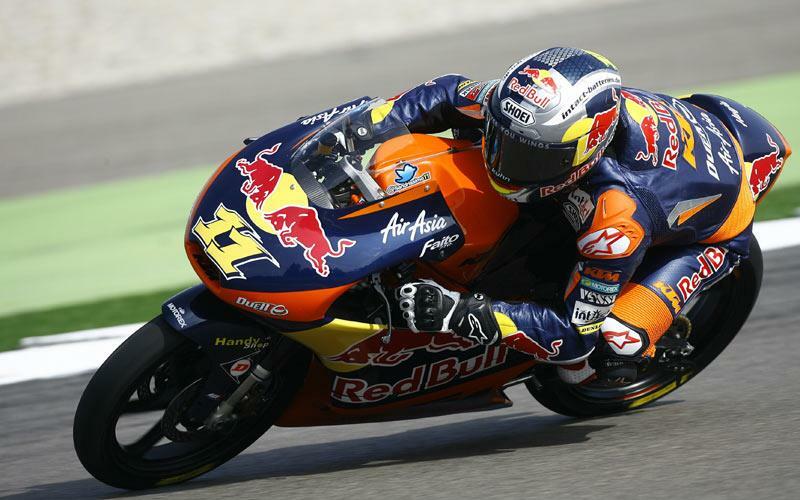 KTM rider Sandro Cortese will start Saturday's Moto3 race at Assen from pole position ahead of team-mate Danny Kent, who secured his first front row start. Gresini rider Niccolo Antonelli also claims his first front row start in third place. Championship leader Maverick Vinales struggled at the Dutch track and qualified in sixth place. Jonas Folger missed the qualifying session as his team was unable to fix a mechanical issue which also kept him out of practice.